Its a brave new world in the year 2018, particularly when it comes to both the Anime medium and its long standing relationship with science fiction. While science fiction anime series have been more of a rarity in the modern era than anything else, there does seem to be a bit of a resurgence happening recently, thanks in part to one particularly big player in the entertainment and streaming industry of today; Netflix. Recently, both Netflix and Amazon have become huge players in the anime space, funding some of the best and most unique projects to come out of Japan in recent memory. Netflix, in particular, is noteworthy because it has become home to the more adult oriented, western friendly properties out of the two. 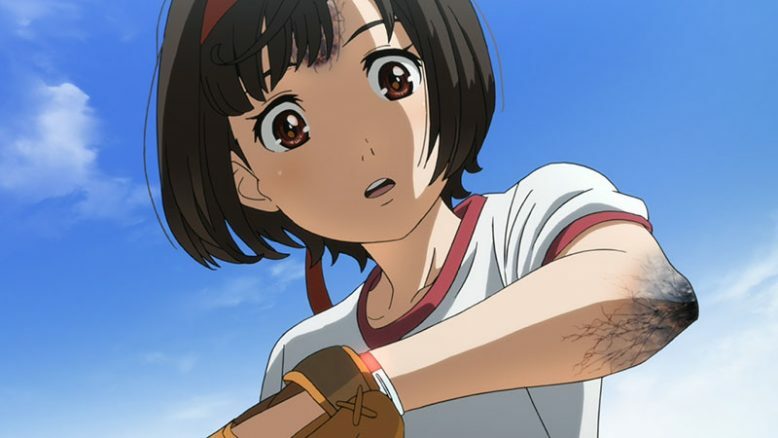 And those properties, they harken back to a notably different time in the Anime industry; The time of the early 2000s, when sci-fi anime series were a lot more common and plentiful. Coincidentally, It is in the vein of that very era, that the series known as A.I.CO. : Incarnation, comes onto the scene today. A.I.C.O is a science fiction series that seems to embody both the spirit and the unique charm of the sorts of series that you’d find littered in the early 2000s. Not only is A.I.C.O special for just that particular tone and feel, but it also tackles some really interesting sci-fi concepts like brain transplants and artificial bodies, ideas that anime hasn’t really touched upon since perhaps Ghost in the Shell in the early 1990s. And… If all of that weren’t enough, A.I.C.O also marks the first big collaboration between Netflix and renowned animation studio, BONES. 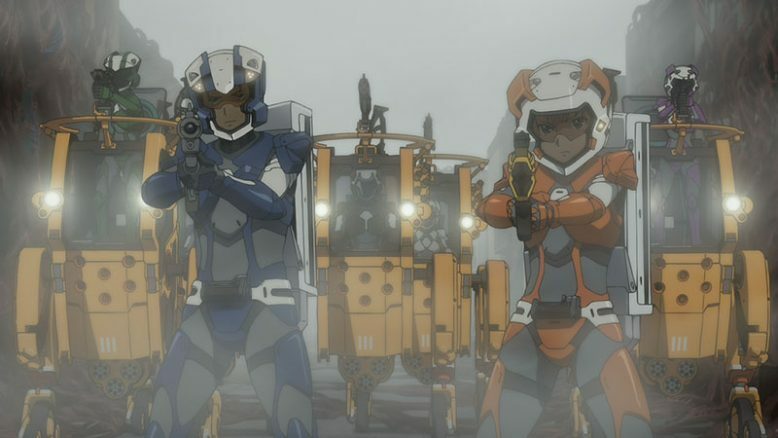 With such a prolific animation studio at the helm, there’s definitely one pressing question; just how does this first ever BONES-Netflix sci-fi anime series fare? Well… Turns out that it fares quite well, actually. While I’ll be the first to admit that A.I.C.O doesn’t do anything too original with its premise or story, what it represents is a by the numbers but solid and satisfying sci-fi romp that anime fans from the late 90s and early 2000s will remember quite fondly. To those of us who’ve been here for a while, A.I.C.O isn’t so much a new transcendent experience as much as it is something that really does revive a particular kind of series that has been largely absent from the anime landscape in the last few years. For those familiar, A.I.C.O will bring up fond memories of shows like Zegapain, RahXephone, Macross F, Sousei no Aquarian and even lesser known properties like Bounen no Xamdou. While it isn’t a mecha show per say (although there are some pretty rad vehicles and tanks present within), the show does evoke that tone, sense of atmosphere and just that unique “feeling and presence” that was all too familiar back then. That feeling? Its one that’s best described by the show balancing itself on a razor sharp edge. One that sits squarely in between lovable escapism and grim dystopian horror. That combination of cheery, upbeat character driven story telling and hard grim sci-fi, is something that is most certainly unique to that 2000s era of anime (and by extension, to A.I.C.O now as well). And one of the key features of this sort of story, is actually something that is almost counter to perhaps some of the best science fiction stories in fiction as a whole. A.I.C.O is a show that focuses more on telling a unique, emotional character driven drama story, rather than focusing on its core sci-fi premise and the weird world that it so carefully lays out. Its an interesting choice, and one that I think ultimately works to the show’s benefit. Anime has long been accused of focusing on world building at the expense of story and characters (and indeed, in the 1990s, that was often times the case). It was largely in response to that, I assume, that shows like A.I.C.O came to be, using their sci-fi worlds as more of a backdrop for the tried and true character driven stories that are still widely beloved today. And indeed, at its core, the story that A.I.C.O tells has nothing too original to show off. A.I.C.O serves as both a classic coming of age story for its protagonist, while also throwing in some good old fashioned questions about the meaning of being human, one’s existence, and past sins. But rather than take a nuanced, contemplative look at any of those themes, the show takes a more… Direct, simple and passionate approach. A.I.C.O as a show isn’t so much interested in asking and ruminating on its questions, as it is in providing its own positive, slightly naive take on those few questions it does ask (Another element that characterized those series I mentioned before). Now… It may seem like I’m actually condemning and bashing A.I.C.O, but that isn’t quite the intention. See, the reason I’ve gone to great lengths to mention all this background info, is because I suspect that people familiar with this sort of series will remember the appeal of something like this. A show like A.I.C.O shouldn’t work, at least in theory. The show takes great care in building up a sci-fi world, then just uses it as a tool to tell a pretty standard story. It does all that and yet it still is able to create something that is unique and memorable. And the reason that, I believe, it ends up being successful is because of the skillful build up and focus on emotional character moments that leverage the show’s unique sci-fi setting. The characters in A.I.C.O, while definitely resembling classic archetypes inherent in the anime medium as a whole, are likable enough and just go through such a heartfelt and emotional journey that it’s hard not to get invested in their experiences. These are the classic flawed yet highly likeable characters, that not only are intriguing on their own, but really do play extremely well off each other. The group dynamics, the larger story, and the plot twists in the show which end up redefining those very dynamics, are what serve as the core appeal of the show. At its heart, A.I.C.O is the story of a girl named Tachibana Aiko. 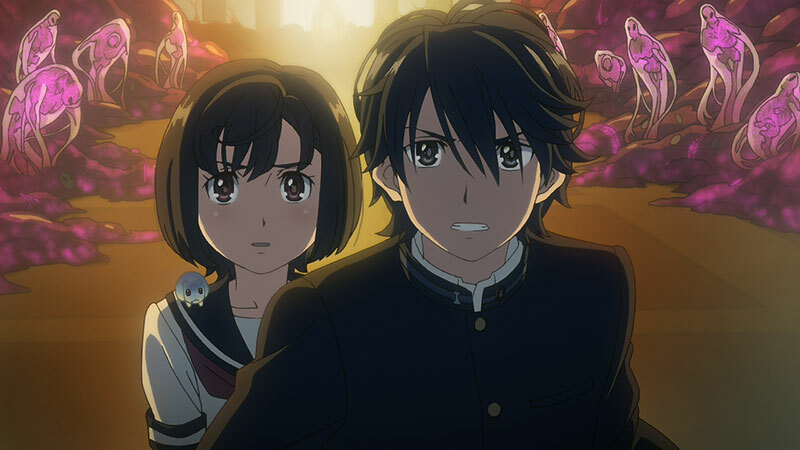 When the series starts, Aiko comes in contact with a mysterious transfer student in her class named Kanzaki Yuuya. 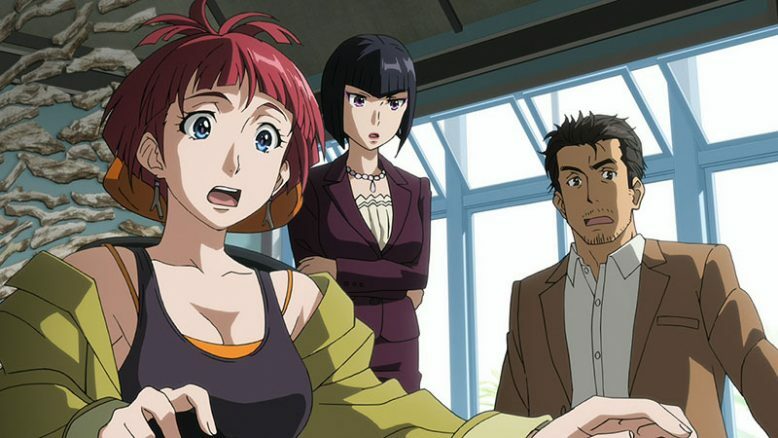 Its through this meeting, that Aiko’s life is so turned upside down, and she learns that an accident where she lost her father, resulted in her gaining an artificial body. 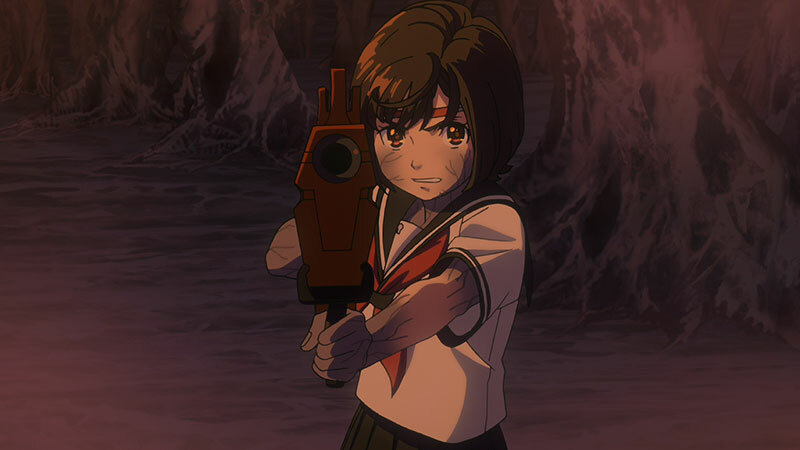 To make matters worse, a weird phenomenon known as the Burst, which itself causes a weird goo-like, semi-alive red substance called “matter” to ravage the country, actually resulted from the operation that gave Aiko her body. Thus with this information in tow, Aiko ends up journey to the “Primal Point” with Yuuya, where she’s told she can both put an end to the Burst and also save what’s left of her family. 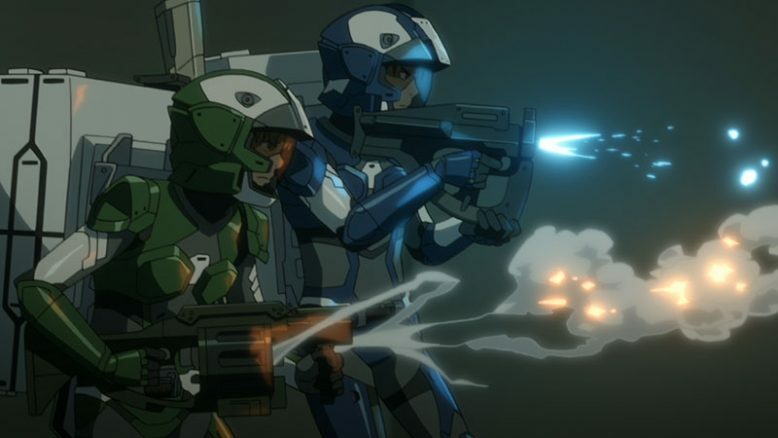 Escorting Aiko and Yuuya are a band of mercenaries that specialize in retrieving assets from areas affected by the “matter”, which consist of Daisuke, Maho, Seri, Kaede, Kazuki and Sagami. As the team rushes to get to the origin point of the original disaster, they face not only the seemingly alive “matter” substance, but also lackeys of the Japanese government themselves. The show’s basic story revolves around this journey to get to the origin of a artificially created disaster. Of course, as both the journey continues and various events unfold, more and more of the mysteries surrounding Aiko, the Burst and the various motivations of all the characters start coming to light. Its here that the show does some truly engrossing stuff, throwing a good few plot twists that really do change the status quo for all the characters involved. And the characters? Despite running into some earth shattering moments, react in a way that’s not only captivating to watch, but endearing to witness. The show slowly peels back the layers of the story, and as the twists do come, some of them seem logical amd inevitable, while others appear clearly darn creative and genuinely surprising. A.I.C.O, as a show, does the rather clever thing of actually dangling a bunch of more obvious plot threads in front of its audience, to distract them from the really powerful and surprising twists. At the end of the day, your milleage on A.I.C.O will vary a lot based on whether you’ve seen this type of show before. If you have seen it, and enjoyed it, then A.I.C.O is a nice trip down memory lane, telling a story that feels very familiar, but that adds enough of its own flavor to remain fresh and interesting regardless. It answers all the major questions that it poses, and while the answers themselves may seem a bit convenient or simplistic, they generally work and remain in service to the greater emotional, character driven focus of the show. It’s also worth noting, that if you’re someone who’s seen this sort of show before and not been a fan, then A.I.C.O is hardly going to change your mind with its particular flavor of the story. And for those experiencing a story like A.I.C.O’s for the first time, well, I’m sure it will certainly be a memorable experience, one that definitely shouldn’t be missed out on. A big part, I think, that makes A.I.C.O particularly noteworthy and a great foray back into this particular brand of sci-fi, is that its got a rather nice and shiny coat of modern anime production values paint. Studio BONES is one of Japan’s best studios, and so the production values for this show are definitely a cut above the general crop. Its nice to see BONES really go all out and bring a sci-fi show to life, putting those Netflix dollars to good use. 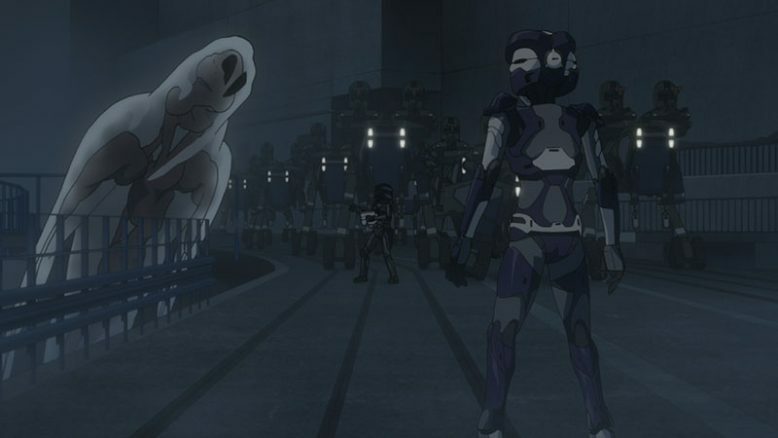 There’s the same sort of “almost contemporary yet slightly futuristic” art direction that I think we last saw in the show “Robtics;Notes” from Production I.G a few years back (2012). It serves the show and its unique world rather well here, and while not entirely unique or identity carving, it works to provide a nice sense of place to the world of A.I.C.O. Complimenting the excellent visual work, is an equally stellar sound work, whether its the music, the sound effects or the voice acting. 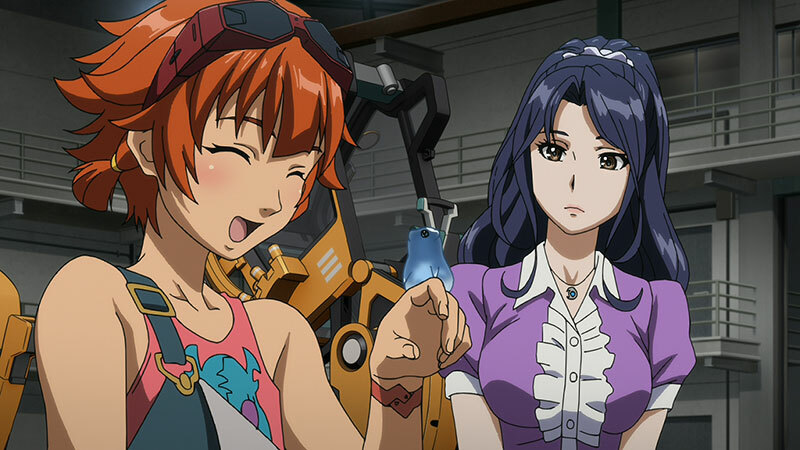 Simply put, A.I.C.O is a prime example of BONES at their best, being given enough wiggle room budget wise to craft something that’s pleasing and much much more delightful than the sort of lower budget shows we get these days with regards to television anime series. 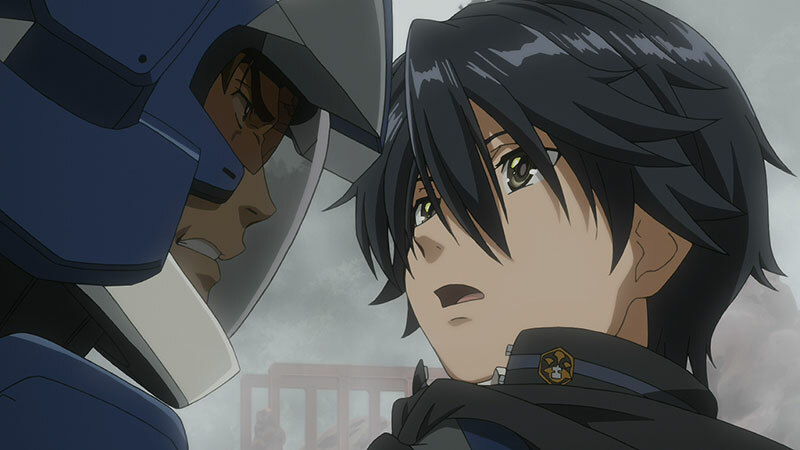 In the end, I’d say while A.I.C.O doesn’t do anything too unique or different, its a nice and comfortable series that feels like a solid addition to the Netflix catalogue of anime series. Netflix needs a real sense of diversity with its shows. Some need to be crazy, niche experimental shows, others need to be more simple, safer shows that take something that’s worked in the past, and execute it all to a masterful degree. A.I.C.O is that sort of series. Its nothing transcendent, but there’s a confidence and a display of clear skill in how it takes some tried and true concepts that we haven’t seen in years, and effortlessly brings them back for the current modern age. I, for one, welcome seeing more series like A.I.C.O again. 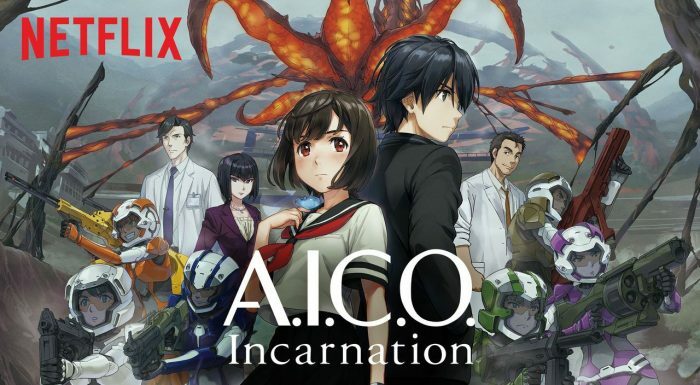 A.I.C.O incarnation gets an A for being a darn fun, extremely competent and welcome return to form the “brighter cheerier” version of sci-fi anime series.